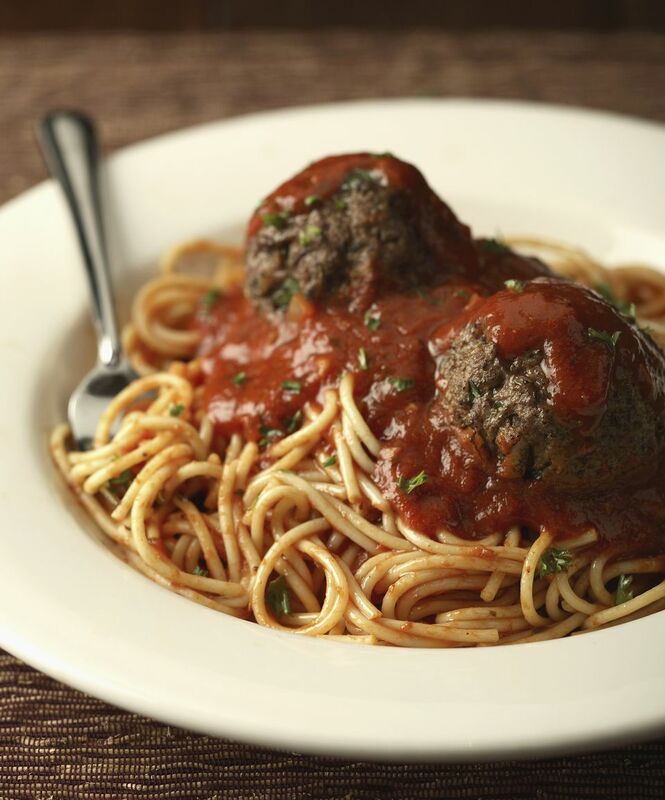 Spaghetti and Meatballs are something the whole family can enjoy. Here, I make lower fat meatballs by using extra-lean ground beef and adding tomato sauce and chopped onion to keep them moist. The meatballs are baked, not fried, and then simmered in a low-fat marinara sauce. I promise you won't miss the excess fat in this low-fat spaghetti and meatballs dish. Preheat oven to 400 degrees, and spray a cookie sheet with nonstick cooking spray. Combine ingredients thoroughly, either with fingers or with a fork. Roll meatball mixture into 1-inch balls and place on cookie sheet. You should have about 20 meatballs. Bake in the oven for 16-18 minutes, turning once in the middle of cooking. Cook spaghetti in a large pot according to package directions, without added salt or oil. In a large pan, heat marinara sauce; add cooked meatballs to the sauce and simmer until the pasta is ready.